(London) YS Air Shows has announced today the confirmation of participation from YSFlight Korea's Mad Sharks Joint Force (MSJF) at the 2012 YSFlight International Air Show on September 29th/30th. The performance is Saturday only and will feature the F-15E, F-16, F/A-18, and E-2 aircraft platforms in a joint strike assault demonstration over the skies of Gatwick. The 10 minute performance is one of the top multi-aircraft displays in the YSFlight community flown online. This is the first YSAS sanctioned show with a completely Korean performance. Due to timezone conflicts, the demonstration will take part fairly early in the show's schedule and will take part on Saturday only. "We've called it an international air show since day one - the community is filled with great people from around the globe. Having our Korean counterparts for this year is a real excitement for us" says Scarecrow. The YSFlight International Air Show (YSIA) takes place on Saturday, September 29th and Sunday, September 30th at 11:00AM CST/12:00PM EST/4:00PM GMT/01:00 KST. 2012 marks the 6th annual show, first started in 2007. 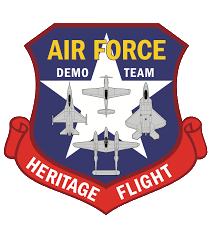 Performances includes tactical military jet displays, aerobatic formation teams, high energy aerobatics, warbirds, aerial refuelers, and more. Please visit YSFHQ.com for further details on the show or visit the official show thread at http://ysfhq.com/phpbb3/viewtopic.php?f=141&t=4472]http://ysfhq.com/phpbb3/viewtopic.php?f=141&t=4472.